Two outfit posts in two days I am on a roll! 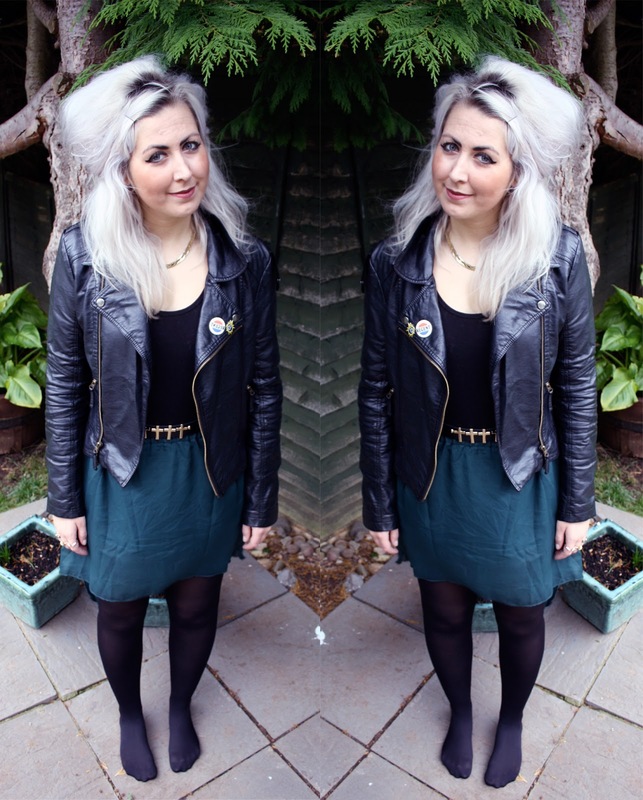 Today i'm worked at the Motel Bristol store and got a quick outfit post done before I left! I love this waterfall green skirt it was around £4 from eBay which is amazing and you can find it here in various colours! 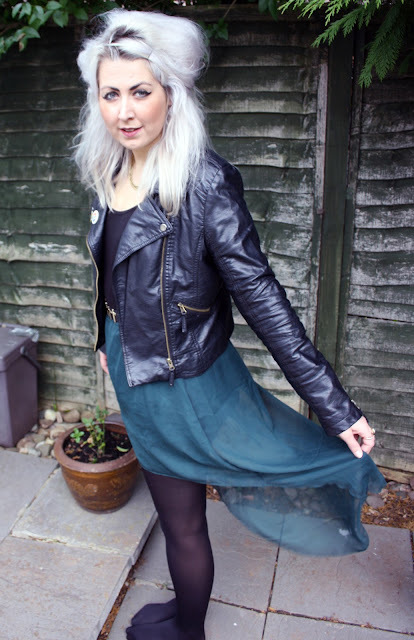 I'm wearing it with a basic ASOS black leotard and my black biker jacket, excuse the no shoes look! I'm not enjoying my photographs at the moment, I look a bit strange in them! I really need to find a good pose and setting for my outfit photographs so if anyone has any suggestions please feel free to leave them below! I think I prefer the white backdrop I was using before maybe I should go back to that! Tomorrow is my brothers birthday so tonight after work i'll be rushing home to get changed and head out to celebrate, think we're having some people to the family house for drinks then heading into town. I'm planning on wearing the Elsa Dress from Motel I ordered it to the store and have my fingers crossed that I like it or there will be a blind panic when I get home trying to find something else to wear! It's not my usual style as it's a fancy body con but I love the baroque detail and am thinking I can dress it down with my chelsea boots and biker jacket! I still have a photo of the night I went out wearing the Laynie so over the next few days i'll put pictures of the Laynie and Elsa outfits up! Is that a belt? It is stunning! you've got great style, love your blog :) following!